An "East Meets West" 1st Birthday for My Son Asher! On October 14th, 2017, we celebrated my son's 1st birthday. His name is Asher Saxon Hobba. For his birthday, we did a little "East Meets West" theme. I was born in Malaysia and am half-Malay and half-Chinese; and my husband is Caucasian American. 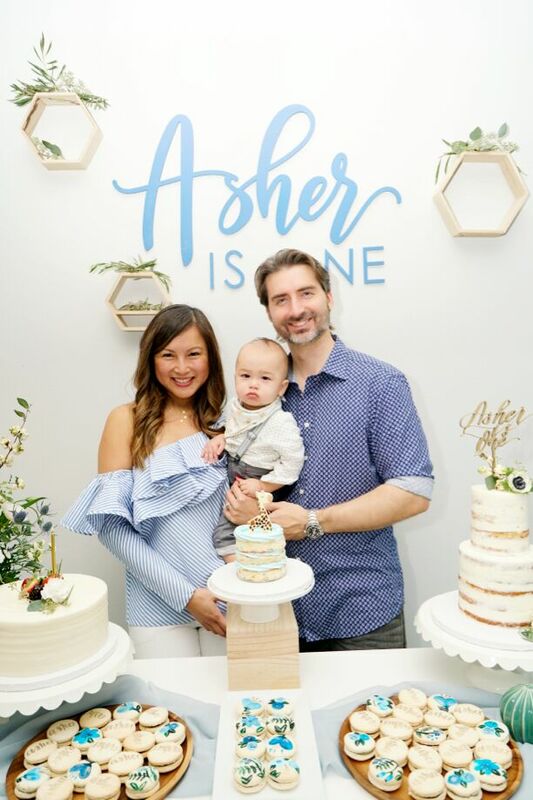 It was important to me for Asher to know his Chinese roots, so we incorporated the centuries old Chinese tradition of ZhuaZhou (抓周, zhuā zhōu, meaning something along the lines of "first birthday grab"), with the American tradition of the Smash Cake, for his 1st birthday. It was a very special event because in the Chinese culture, the first birthday is one of the most important birthdays to be celebrated, and my mom (who passed away 4 years ago), would've been really proud that I was able to keep up with the tradition. She never got to meet my son (he's my first born) but I know she was smiling down at us that day. We hosted the birthday party at our house in Redondo Beach. It was attended by about 100 guests (70 adults and 30 kids ranging from 5 months old to 14 years old).